Fred Crow was born in 1926 in Gloucester, Massachusetts and enlisted in the U.S. Army Reserve on December 20, 1943. 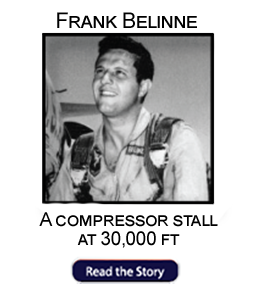 He entered the Aviation Cadet Program of the U.S. Army Air Forces on February 15, 1944. After the war ended, he was discharged on October 28, 1945. 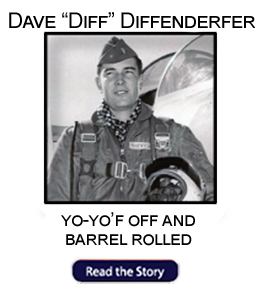 He rejoined military service with the U.S. Air Force, reported for pilot training on June 13, 1951, and was commissioned a 2d Lt and awarded his pilot wings at Stalling AFB, North Carolina, in June 1952. 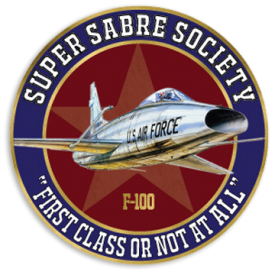 Capt Crow served as a fighter pilot and forward air controller at various bases between April 1953 and June 1961, and then served as an F-100 Super Sabre pilot with the 478th Tactical Fighter Squadron at Cannon AFB, New Mexico, from July 1961 to December 1962. During this time he deployed with his unit to Europe in support of the Berlin Crisis from September to November 1961. His next assignment was as a Forward Air Controller attached to the U.S. Army’s 82nd Airborne Division at Fort Bragg, North Carolina, from December 1962 to August 1964, followed by Army Command and General Staff School at Fort Leavenworth, Kansas, from August 1964 to July 1965. 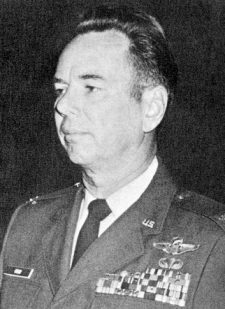 Col Crow then served on the staff of Headquarters Tactical Air Command at Langley AFB, Virginia, from July 1965 to May 1966. 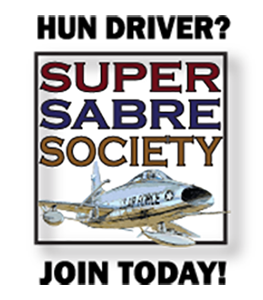 He completed F-4 Phantom II Combat Crew Training before serving with the 433rd Tactical Fighter Squadron at Ubon Royal Thai AFB, Thailand, from October 1966 until he was forced to eject over North Vietnam and was taken as a Prisoner of War on March 26, 1967. After spending 2,171 days in captivity, Col Crow was released during Operation Homecoming on March 4, 1973. 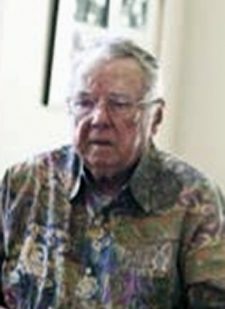 He was briefly hospitalized to recover from his injuries at Andrews AFB, Maryland, and then attended National War College in Washington, D.C., from August 1973 to June 1974. 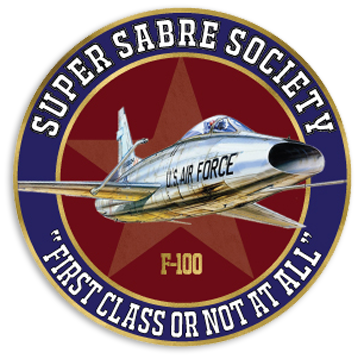 Col Crow’s next assignment was as Vice Commander of the 35th Tactical Fighter Wing at George AFB, California, from July 1974 to May 1975. His final assignment was at Langley AFB, Virginia, where he retired from the Air Force on October 1, 1981. Fred Crow and Henry Fowler were shot down over Son La Province in Vietnam on March 26, 1967. 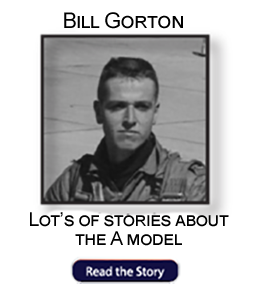 He was serving with the 433rd Tactical Fighter Squadron. Fred remained a Prisoner of War until his release on March 4, 1973. Henry had been released a month earlier on February 4th. Upon returning from his internment as a prisoner of war in Vietnam for over 7 years, Colonel Fred Crow, Jr. landed at Andrews AFB Maryland on the afternoon of 7 March 1973, where he was greeted by Lt. Gen. Daniel F. “Chappie” James USAF. Colonel Crow made the following remarks upon landing at Andrews AFB. His words show the valor, integrity, and courage of the prisoners of the Vietnam war. “We come to you from the prisons of North Vietnam. Our motto was Unity Before Self. Our mission was to return with honor. We have accomplished our task. What a thrill it was to take off in this big beautiful aircraft from Hanoi with us aboard. Freedom was ours! How proud we were to be greeted just a few short hours ago in Honolulu, Hawaii United States of America as American fighting men returned from battle. In an oral history interview at Cornell in 2012, Fred Crow told the story of his capture. “I was shot down on a mission … (I) .. was not supposed to fly. Lieutenant Colonel (name deleted) was supposed to fly the mission” Crow explained, “Colonel (name deleted) was a weenie. He was never around when something was to be done or a decision to be made. He would say he had to go out of town to get new glasses, or an excuse similar. He had signed up for the mission on March 26 because the weather was bad, meaning it would be a simple, not dangerous mission. However just as they were scheduled to fly, the weather cleared up, changing the mission. He wimped out and … (I) … had to take his place leading sixteen airplanes into danger. another man’s fear. He was now a prisoner of war. Crow explained, “When I first got there I was sweating so bad and so thirsty that I was licking my sweat up off the floors. The interrogator, who we called “the bug,” was a professional, showed absolutely zero emotion. He couldn’t pronounce my name so I was ‘Cow’ for the next six years.” Colonel Crow spent the next six years in Hanoi Hilton, spending three years in solitary confinement, known as ‘Heartbreak Hotel.’ Crow explained to me that one time he had tried to peak through his cell bars that were very high up by standing on his “bathroom” bucket. The “bug” had caught him so he placed one of his ankles in a stock and both his wrists in another stock. debriefing before the medics got to them. “All I needed was a hernia repair and a teeth fixing. They had the President’s dentist fix me up” Crow states as if it is not a big deal.